Après une bonne nuit de sommeil dans, un réveil relativement tot pour commencer votre parcours vers les îles Malön et Flatön. Kärlingesund est un endroit calme et protégé pour faire du Kayak. l’Eau de mer salé serpente entre les îles et réserves naturelles de Gulmarns fjord à Koljofjord. Vous longez les falaises et îlots ainsi que des passages étroits et vous naviguez autour l’île idyllique de Bassholmen. 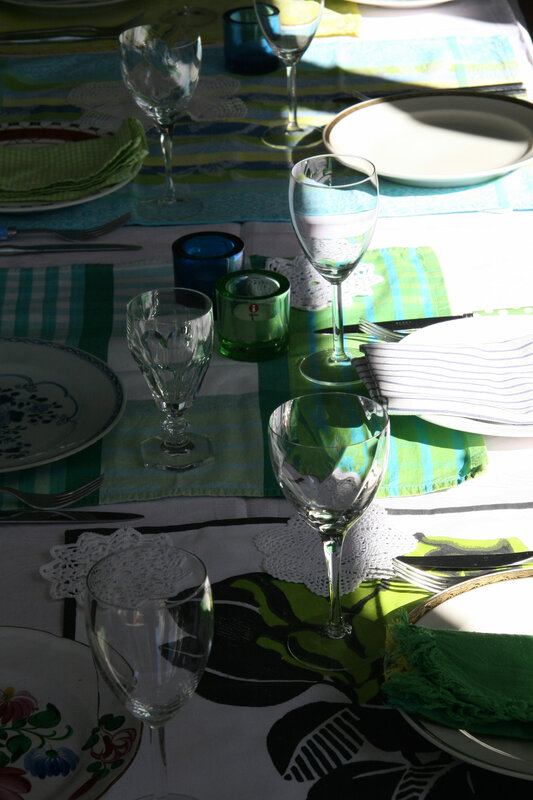 Déjeuner et café pendant le parcours. Lors de votre retour possibilité de faire un stop au restaurant dans le pittoresque Fiskebäckskill. Après cette journée bien remplit vous aimeriez certainement profiter d’un coucher de soleil depuis notre bâtiment. Vous pouvez réserver chaque mercredi entre le 30 juin et 25 Aôut, à partir de 2.900 SEK p/p, possibilité de réserver d’autres jours à partir de 4 personnes. We invite you to enjoy an exclusive and active adventure on the sea, done in a special co-operation with Upplevelsebolaget. The west side of Orust offers one of the coast’s finest paddling areas. 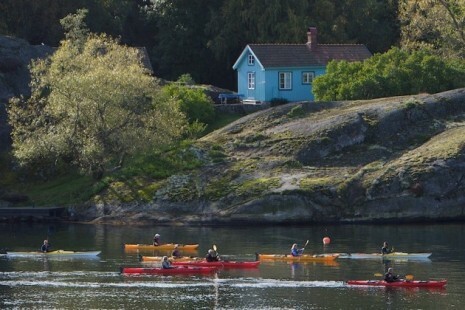 Here one glides around among island gems like Mollön, Slubbersholmen, Måseskär and Hermanö. You are offered horizon feeling, seal spotting chanses, sandy beaches and labyrinths of gneiss. We also zigzag our way to some of Bohuslän’s most charming old fishing communities, like Gullholmen, Käringön and Mollosund. The base camp is our old fish box factory in Edshultshall, stylishly renovated to Bohusläns perhaps most charming Bed & Breakfast. 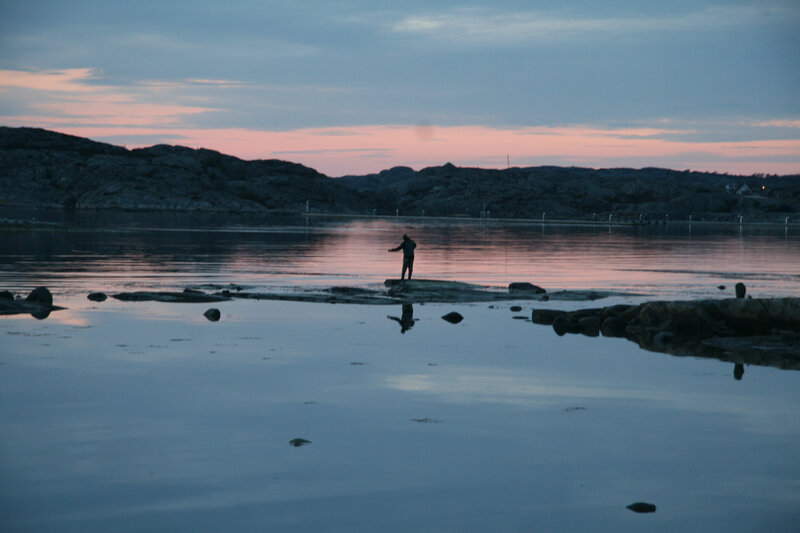 At the end of the days of exploration, the kayaks are fast asleep on the beach outside the front door, while you wine and dine, tell stories, and look out towards Kråksunds gap and the horizon. Price 5.900 SEK p/p, only bookable for May 13 and September 16 2016, other dates by arrangement for groups of at least 4 people. 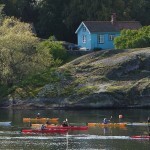 The price includes all necessary paddling equipment, all meals during the tour (breakfast and two course dinner at Lådfabriken, packed lunch during the paddling), two nights accommodation in a double room at Lådfabriken. Transportation to and from Edshultshall, as well as guidance and instruction. 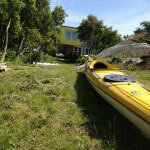 For more information and on-line booking please look at the website of Upplevelsebolaget. Pour commencer un diner au Restaurant Bryggvingen, idéalement situé au milieu des falaises de l’ile Lyr. 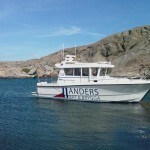 Le jour suivant, ballade en voiture avec vues incroyables puis un tour en Ferry par le Gullmarn fjord, vous partez ensuite dans un bateau en bois de Lysekil. Ramassez les huitres et apprenez tout sur cette spécialité, Ostrea Edulis. Sur l’ile de Käringeholmen vous préparerez les fruits de mer avant de retourner sur Lysekil. De retour au Lådfabriken vous pourriez finir la journée avec une baignade sur l’ile de Jensholmen, une petite île juste en dehors du village. Vous pouvez réserver chaque jeudi ou vendredi, à partir de 2.900 SEK p/p. Possibilité de réserver d’autres jours pendant tout l’année à partir de 6 personnes. Cycle across Orust from the west to the northeast coast and let the variation in landscapes mesmerize you. The cycling tour is of a recreational character with short slopes and gradients up to 100 meters. Some cycling experience is beneficiary however not necessary. 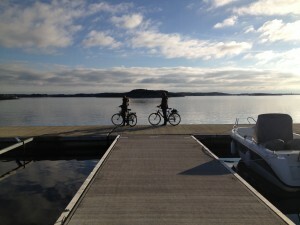 inspiring inland tour along lake Grindsby, farmlands, amazing ocean views and an archeological site. Return to Lådfabriken. Bookable on a daily basis. 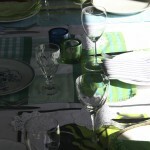 Average price from 3.320 SEK p/p, incl. two nights stay, two diners and a bicycle (plus helmet, map and cycle-bag). 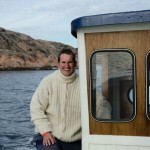 Stay one night in Lådfabriken and go out on the boat with Anders early the next day day. 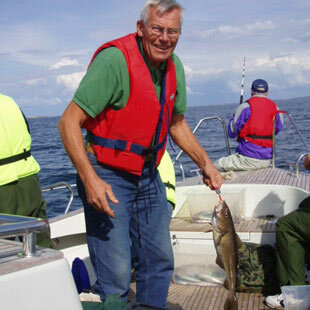 A three-hour trip includes instruction, use of life vest and fishing gear. You can also borrow rain pants if necessary. Upon return you can enjoy a marvellous fish soup in Mia’s boathouse. Bookable on daily basis. 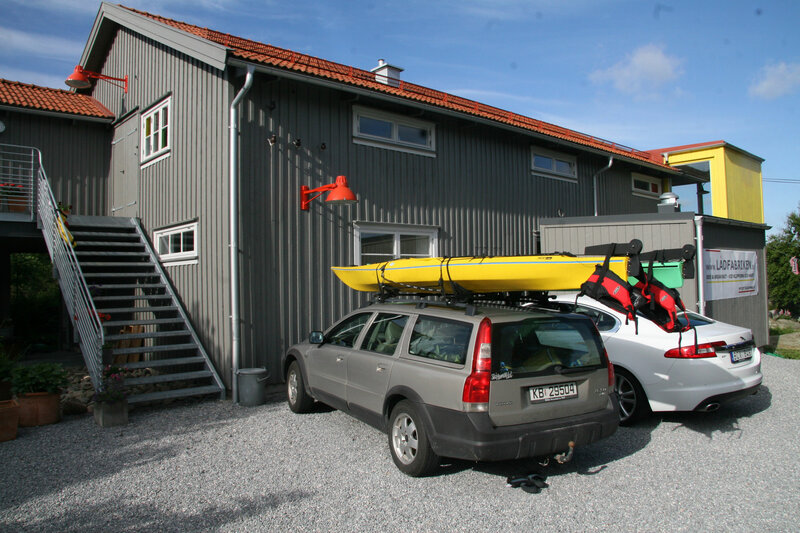 Low season (April 1 – June 19 and August 17 – November 1) 1.600 SEK p/p High season (June 19 – August 17) 1.675 SEK p/p Prices based on 2 persons in a double room. For the fishing tour to happen, minimally 4 persons should be on board, the maximim is 12 persons. Starts each year on the first Monday after the 20th of September at 07:00. Only then can the baited traps be put into the sea. Bait, comprising of salted mackerel and herring, is taken along as the pots are to be both emptied and replaced.To go after the black gold of the sea, catch it and eventually have it prepared for you is truly a world class activity. So put on your warm clothes and a pair of decent shoes. You will be equipped with a warm safety overall and life jackets. Pull up the lobster traps from the waves of the Skagerrak, empty them hold a lobster and learn more about fishing the black gold of the sea. 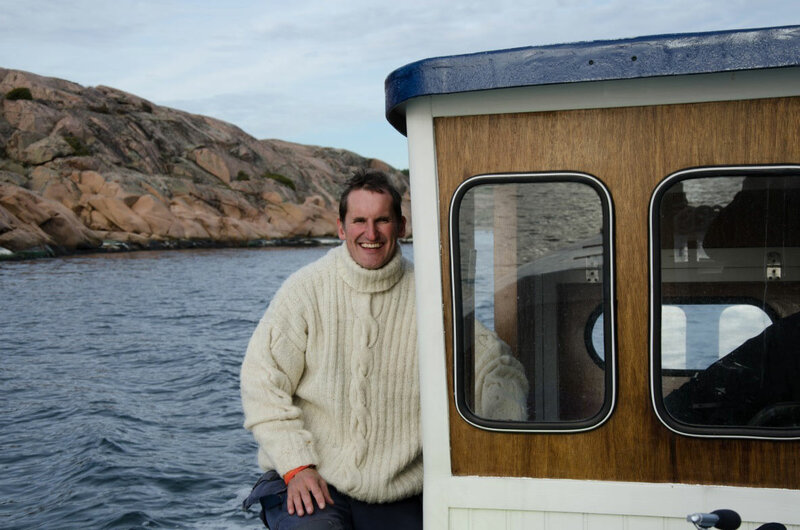 In 2016 there are boat trips on Saturdays, combined with a stay in Lådfabriken: 1.475 SEK p/p. Extend this adventure with a finger licking lobster supper in Mia’s Boathouse : the ‘black gold’ package. Before the boat sails, you will enjoy a lunch in Mia’s boathouse and the lobster will be served as part of a three-course menu. 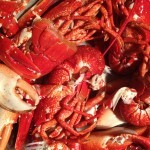 Needless to say that if you wish to enjoy your lobster with wine or champagne, we are happy to drive you home! Replete and satisfied, you will enjoy your tranquil stay at our accommodation for a good night sleep followed by a late and leisurely breakfast. 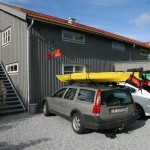 Price: 2.675 SEK p/p (based on 2 persons in a double room). Only bookable on October 1, 8, 15, 22, 29 and November 5 2016. Should you wish to enjoy the ‘black gold package’ without the boat trip then it costs 2.075 SEK p/p. 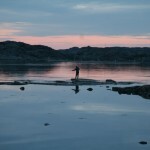 The Bohuslän harbor seals favorite rocks lie out in the Skagerrak waters near the island of Käringön. The seals sunbathe on the rocks or stare at you as they bob their heads above the surface of the sea. Newborn pups can be seen at the beginning of summer. We offer a one hour boat trip that starts at 2 PM from Mia’s Boathouse where you can enjoy a fresh coffee with homemade muffins either before or after the tour. 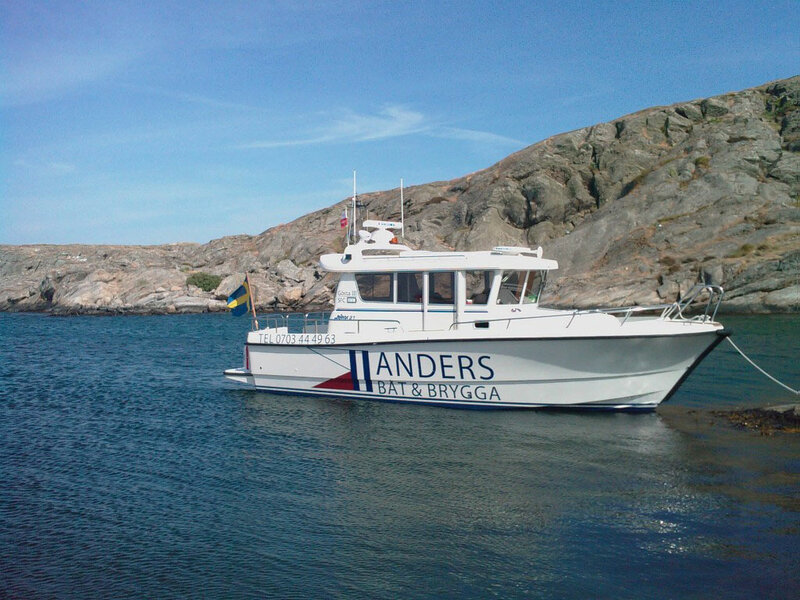 Price 150 SEK p/p, the boat leaves with minimally 6 persons in the afternoon during the whole summer, groups may contain max. 12 persons.